Product prices and availability are accurate as of 2019-04-11 11:13:17 EDT and are subject to change. Any price and availability information displayed on http://www.amazon.com/ at the time of purchase will apply to the purchase of this product. 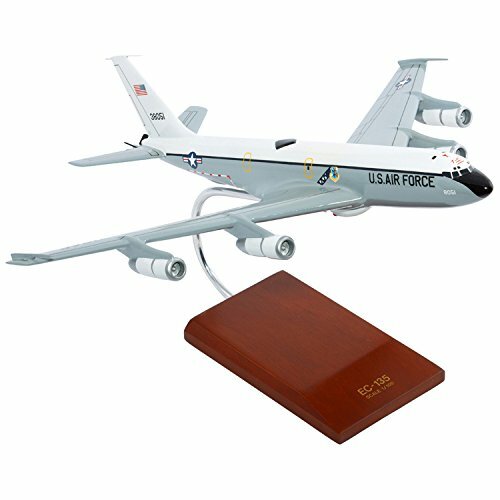 Product Description Avid collectors of handcrafted replica should not miss this desktop scale model. 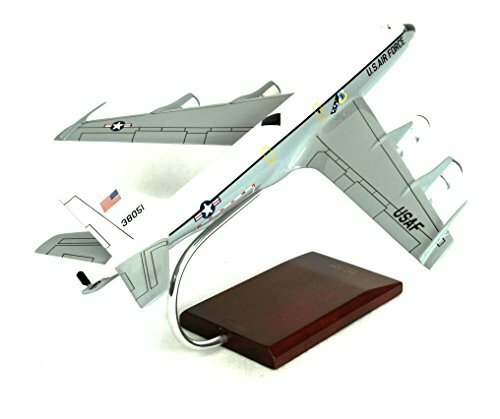 With the expert craftsmanship of this desktop replica, you'll surely be proud to bring it home and display on your desk. From the Manufacturer During the 1950s, the Strategic Air Command (SAC) identified the requirement for an Airborne Command Post (ABCP). The idea was for specially-equipped aircraft to be airborne at all times, should the SAC's underground command center become inoperable. 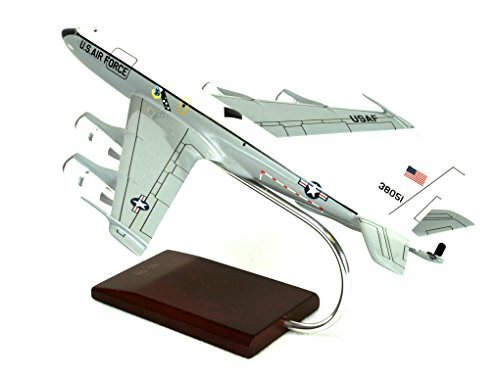 The first aircraft adapted for the role of ABCP were 17 Boeing KC-135B Stratotankers. The nickname “Looking Glass” was adopted because the mission mirrored ground-based command, control and communications of US strategic nuclear forces. Operations began on February 3, 1961. 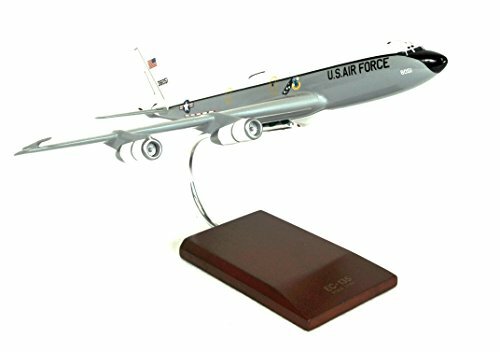 By 1964, the aircraft was considered dedicated to the ABCP role and redesignated EC-135. The EC-135 Looking Glass was vital to US strategic forces. Its highly trained crew and staff ensured that there was always an aircraft ready to direct bombers and missiles from the air. Members of the battle staff formed seven operational teams and represented all branches of the armed services. When airborne, the staff was under the command of a flag officer, either an Air Force general officer or a Navy admiral. 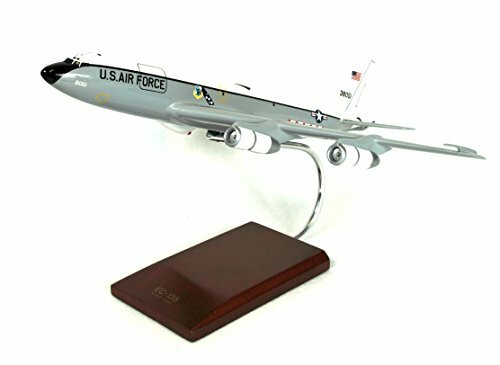 The EC-135 fleet was equipped with comprehensive, high-tech communications equipment, which allowed the airborne commander to link with national command authorities, theatre forces, assets on the ground and other airborne command posts. The Looking Glass was a versatile airframe with excellent airspeed, range and endurance. 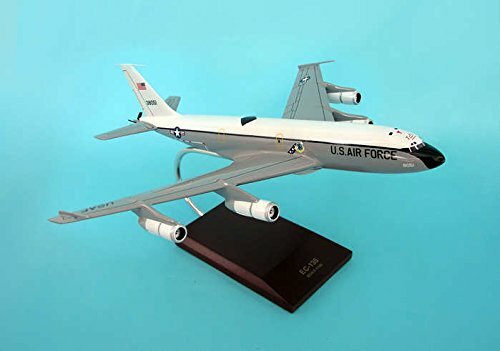 It was also capable of air refueling which allowed missions to be extended almost indefinitely. This gave the aircraft range to conduct nonstop operations to any location in the world as well.